(Summer, 2018). “Hero,” Edible Columbus. (Spring, 2018). “Club Opens City Kids’ Eyes to Fresh Food, Farming,” Clintonville Booster. (Spring, 2017). “The Perks of Getting Kids Involved in Gardening,” Columbus Parent. (Spring, 2017). “The Six One Fork Guide to 2017 Columbus CSAs,” Six One Fork. (Winter, 2017). 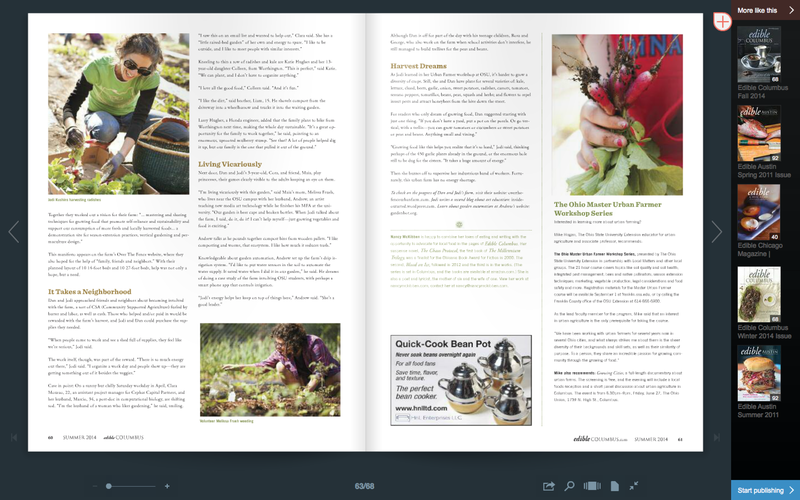 “Soil Creatives: Urban Farming as a Creative Practice,” Edible Columbus. (2015). “Art Education in My Backyard,” Artizein: Arts and Teaching Journal. (July 2015). “Women of the Heartland,” 614 Magazine. (November, 2014) “10 Urban Agriculture Projects Making a Difference in Columbus, OH” FoodTank. (Summer, 2014). “Little Farm, Big City,” Edible Columbus.